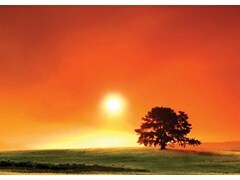 Temperatures are set to soar over the summer months. 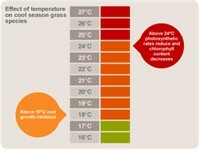 The hot, dry conditions will put incredible stress on turf plants, warns Dr Simon Watson of Syngenta. "Physical heat is a major factor in turf stress," he advised. "We have seen temperatures climbing to a point where the chemical balance and photosynthetic activity within the leaf can be affected. If that's compounded by stress from lack of moisture or a nutrient deficiency, plant health will really suffer and surface quality can quickly be lost." 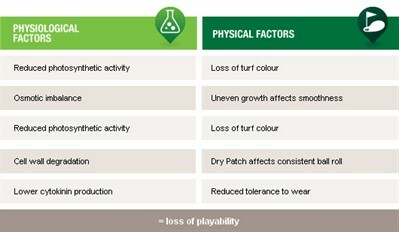 Dr Simon Watson advocated that pre-stress conditioning of turf plants and management techniques to alleviate stress can help to enhance the playing experience demanded by players this summer. "Pre-stress conditioning aims to build up reserves within plants that will enable them to better withstand stressful periods, and aides faster turf recovery when improved conditions for plant growth return," said Dr Watson. Such measures are essential when pressures from players and club impose demands on turf management that can increase stress on turf, including cutting turf tighter to increase speed or restricting irrigation to retain firm surfaces. Dr Watson reported that instigating a Primo Maxx programme now, before the effects of stress begin to be seen, can help to retain turf health and quality through a period of summer stress. 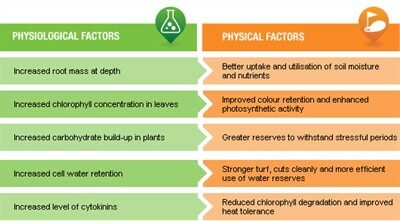 He cited trials have shown effects including increased root mass for better uptake and utilisation of nutrients and moisture, along with physical changes in the plant leaf that help retain colour and quality. "These have included increased chlorophyll concentration, improved cell water retention and an increased level of cytokinins that improve heat tolerance of turf plants." When Primo Maxx is used alongside the wetting and water conservation agent, Qualibra, the availability of soil water reserves held deeper and more evenly through the soil profile further encourages more vigorous root growth and enhances the available water capacity of the root zone. "Healthier plants, with deeper rooting, are a better able to seek out available soil moisture and nutrients, and stay green and healthy for longer, as well as recovering faster from drought effects or traffic and wear stress from heavy play," added Dr Watson. To help greenkeepers and sports turf mangers to time Primo Maxx applications more effectively, the GreenCast website includes information on current and forecast soil temperatures and weather conditions.